Gallagher spent more than an hour giving a broad overview of the agency’s history, with particular emphasis on significant legislative changes to its mission over recent years that allow emerging growth companies to raise public funds. 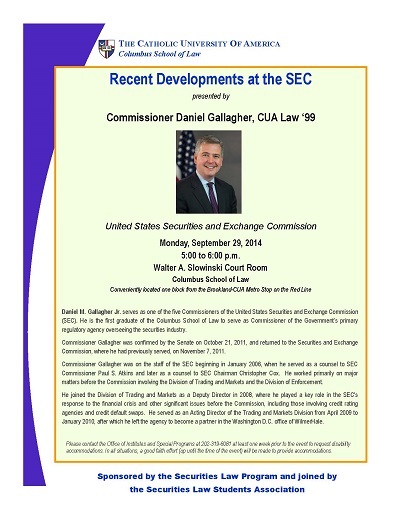 Gallagher, Daniel, "Recent Developments at the SEC" (2014). Securities Law Program Lecture Series. 10.